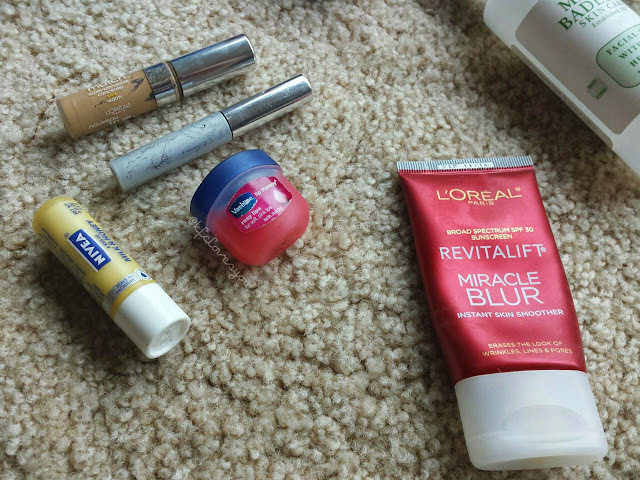 L'oreal Paris Revitalift Miracle Blur - I loved this stuff as a primer for my face. I could wear it alone to help manage the shine in the summer time or as a base for any concealer I applied on. 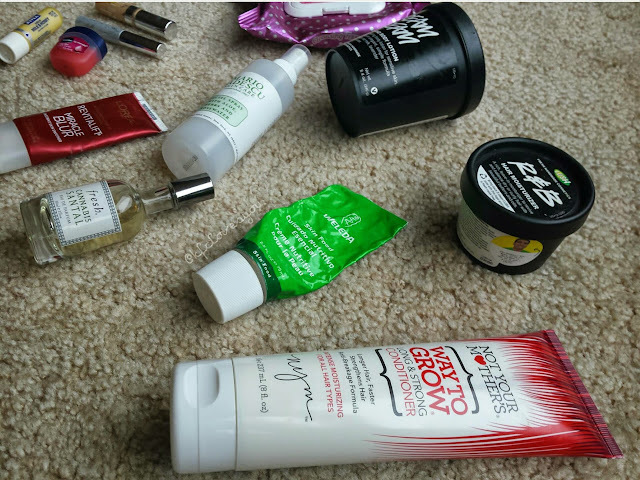 It created a nice smooth surface and left my skin feeling and looking smoother. Nivea Kiss of Milk & Honey Lip Care- One of the best lip balms that actually keep my lips hydrated without feeling too thick. Plus, this has a nice and mild, sweet milky honey scent. It is so hard to find this particular item in store so if you ever see it, be sure to try it out! LUSH R&B Hair Moisturizer - This is supposed to be for curly hair, but my long straight hair loves this stuff. I apply a bit to the middle of my damp hair and work it through to the ends. 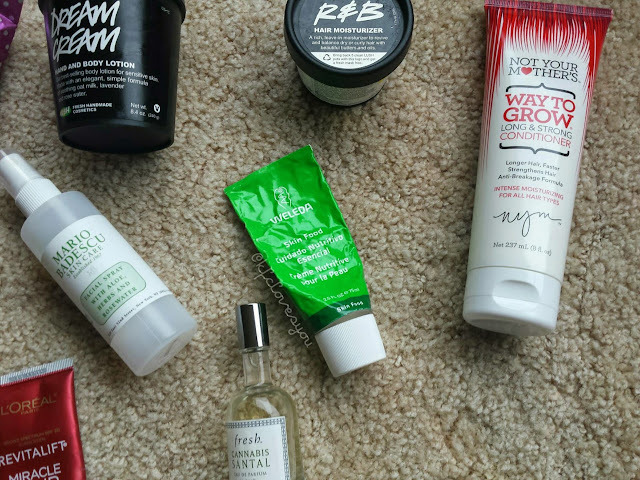 This stuff not only smells good but also acts almost like a leave-in conditioner. 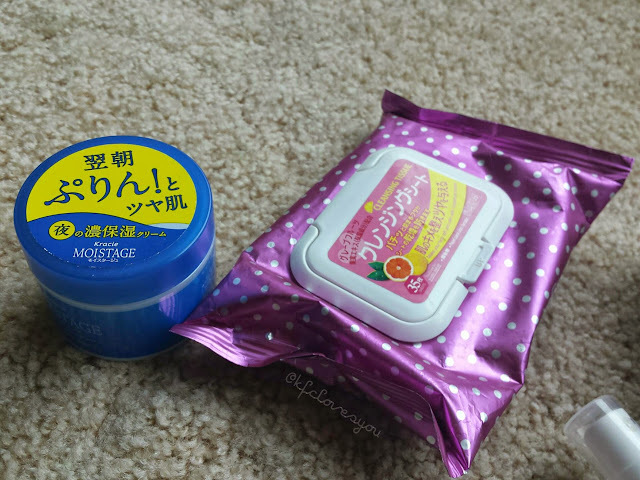 Daiso Makeup Removing Wipes - I think I have mentioned these before, but if you live my a DAISO Japan (basically a $1.50 store) you have to check out these makeup removing wipes. 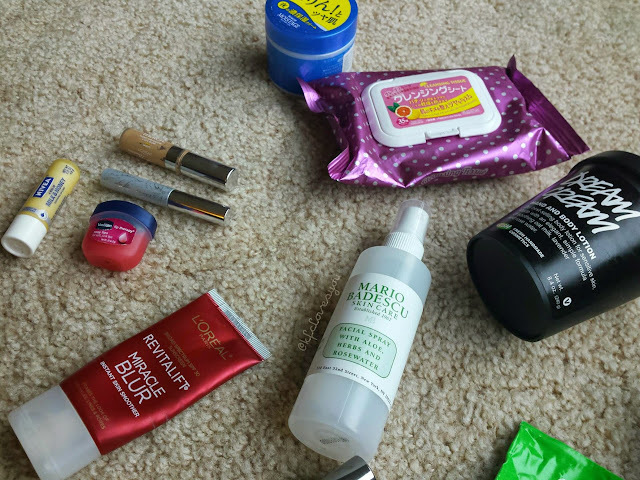 Not only are they inexpensive, they work really well at removing makeup or just cleansing your face after a work out session. They aren't dried out and smell nice, plus, I love the packaging with the solid plastic cover to keep it from drying out. 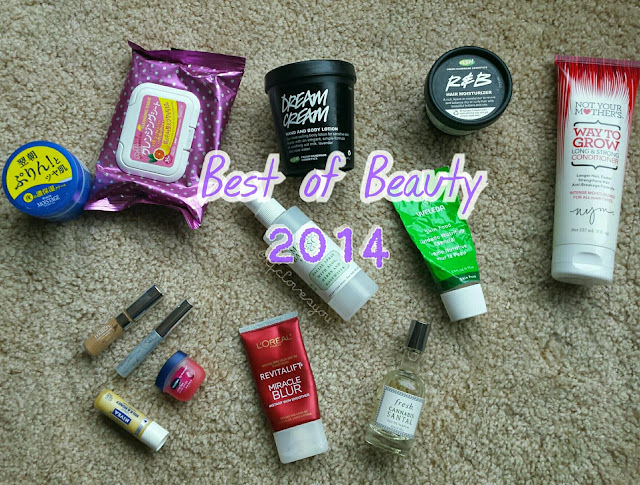 Readers, What were your most used/loved beauty items (or treatments) of 2014? I'd love to know!